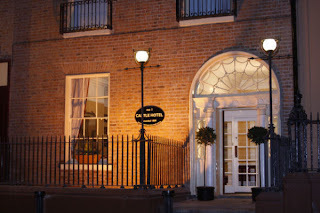 This elegant Georgian hotel in Dublin city centre is just 2 minutes' walk from O' Connell Street and very close to Temple Bar; it offers rooms with en suite bathrooms, a restaurant/bar with evening entertainment, and free Wi-Fi. Rooms are individually designed to reflect the elegance of the building and have hairdryers, direct dial telephones, tea/coffee making facilities and TVs. The Castle Vaults bar/restaurant has an exposed vaulted ceiling which was part of the original 19th-century wine cellars. 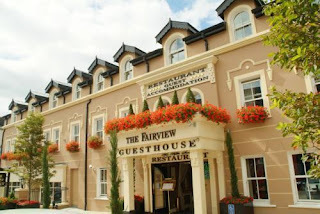 It offers modern cuisine, a pre-theatre menu and an evening á la carte menu, along with live traditional Irish music around weekends. 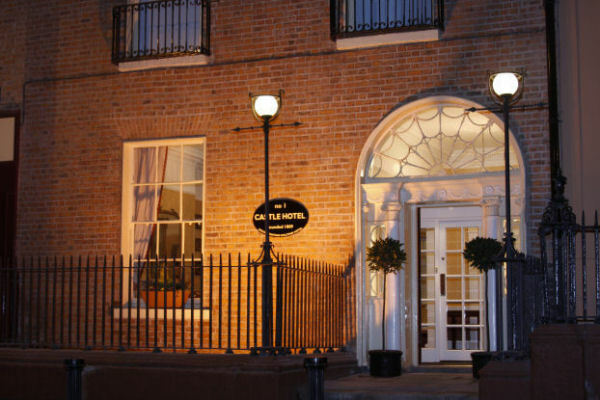 The Castle Hotel is very close to Croke Park, The Abbey and Gate theatres, the Municipal Art Gallery and James Joyce Cultural Centre. Children and extra beds Free! All children under 2 years stay free of charge for children's cots/cribs. There is live traditional Irish music every Thursday to Sunday (summer months) and Friday and Saturday (rest of the year). •Booking is safe. When you book with us your details are protected by a secure connection. •Your privacy is protected. Your details will only be used to guarantee your booking. •No booking fees. You only pay the hotel. Booking.com will never charge your credit card. •Best Price Guarantee. Found your room online at a lower price? We'll match it. Every year, in early November, there are a plethora of studies and surveys published that tell us how much money we’re going to spend before the Christmas tree comes down and the lights get turned off in early January. First out of the traps this year were the un-Christmassy accountants at Deloitte who reported that Irish households were going to spend €966. This is down from more than €1,400 that Irish consumers blew at the height of the boom in 2006 but still considerably higher than EU average of €591. Deloitte said that Irish households will spend an average of €499 on presents, with €288 earmarked for food and drink and €178 set aside to cover the cost of going out. A separate study from the Irish League of Credit Unions said Irish adults are set to spend an average of €527 on Christmas this year. The reality is many Irish households will go through a whole lot more once the 12 costs of Christmas are taken care of. 1 Food: Irish adults are likely to consume around 6,000 calories on Christmas Day alone and also put on an average of half a stone over the festive period. The Deloitte survey suggests that the Irish households will spend €288 on food and drink over Christmas. This seems like a wild under-estimation to us. We filled a virtual shopping trolley made up of a turkey, ham, biscuits, mince pies, breakfast material, melon, plum pudding and a few other Christmas Day essentials. We did not go mad but even so, the cost of our basket of 25 items, sufficient to feed a family of two adults and three children on the big day, with a few leftovers, came to €227. Add another €100 for food over the period between December 23rd and December 31st and the grocery bill is more than €300. And we haven’t had a drink yet. 2 Drink: We did not go mad. We limited ourselves to a case of beer, four bottles of fairly cheap red wine, two bottles of ordinary looking champagne, a small bottle of brandy for the lighting of the plum pudding and one bottle of whiskey to make Irish coffees. Despite our comparative temperance, our bill came to €144. To this we added the cost of two adults going to a pub three times over the Christmas period and having four pints each on each occasion – hardly excessive by Irish standards – and the bill for booze hit €264. 3 The Christmas party: Office parties are less lavish than they might have been during the boom, but many companies still manage to hold some class of do over Christmas. 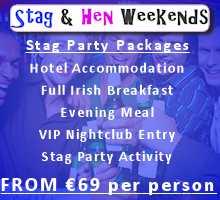 If you decide to go you should probably allow €30 for taxis and €30 more for drinks. As there are two (probably terrible) Christmas parties to go to in our imaginary home, we double it. 4 The tree: Perhaps you bought yourself a fake plastic tree years ago in which case you can skip to point five (albeit hanging your head in shame). A real tree will set you back €50. 5 Decorations: If you’re not starting completely from scratch and shop for decorations in Penneys or Ikea as opposed to some high-end department store, you should spend no more than €20 on decorations. Some Christmas lights to replace the tangled, broken mess you pull down from your attic will cost another €20. 6 Presents: According to the Irish League of Credit Unions, Santa Claus will spend an average of €177 on presents for children this year. As there are three of them in our made-up family, his outlay will come to €531. 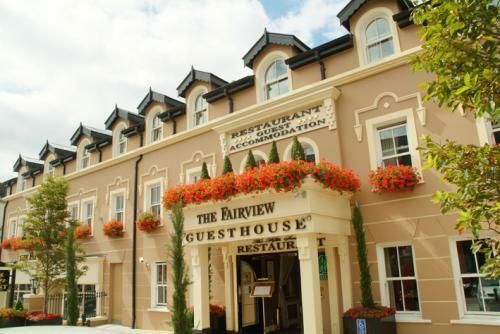 We will allow just €50 per adult in the house – and we are assuming you will not be buying parents, siblings, friends or, heaven forbid, colleagues anything – and the total gift cost comes to €631. 7 Santa Claus: A visit to some class of saggy Santa Claus hidden away at the back of some absolutely packed shopping centre; will cost you €15 per child, a total of €45. Throw in one visit to an ice-skating and a pantomime and the cost of Christmassy outings reaches €165. 8 Christmas cards: If you send 56 cards, it will cost you at least €10, you’ll need to spend another €27.50 on stamps so suddenly another €37.50 is gone. 9 New clothes: Once all the presents have been bought, you might have money left to buy yourself a a gúna nua or possible a new shirt for that Office party that you think you won’t enjoy until you find yourself drunkenly swaying and singing along to Fairytale of New York. 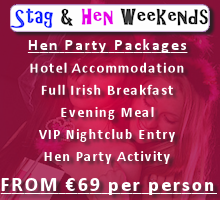 Spend just €50 each and that’s another €100 you will need to add on to your Christmas bill. The children might also be in the market for new clothes – both to sleep in on Christmas Eve and to wear to church services or to the neighbours the following morning – and if you are canny and shop in TK Maxx you should be able to get them sorted for €60 all in, but even with that cuteness your clothes bill is suddenly €160. 10 Transport: If you want to visit relatives, either down the country or in the city, you’ll need to get there. A trip from Dublin to Cork will cost you about €100 in petrol. 11 Power: Increases in energy costs means the average monthly gas and electricity bills are around €100 each. Assuming more gas is spent cooking and heating over the festive period and more oil is burned keeping the Santa on your roof illuminated, we will allow €50 for Christmas-related energy costs. 12 Extras: We add on just €100 to cover the cost of babysitting, charitable donations and the odd selection box over the 12 days of Christmas. And we’re done. The Pricewatch total household spend for what looks like a fairly standard Irish Christmas is an eye-wateringly expensive €2,044.50. And we still have to cover the cost of New Year’s Eve. * List everyone that you intend to buy for, then budget a reasonable amount that you can afford to spend on each person. * Avoid shopping last-minute and try to arrange to go shopping when it’s quieter. * Agree a spending limit with friends and family or try an option like a Secret Santa. * If you have a present in mind, shop around and compare prices, both in store and online. * Be realistic with your food shopping. It is easy to buy more than you need.